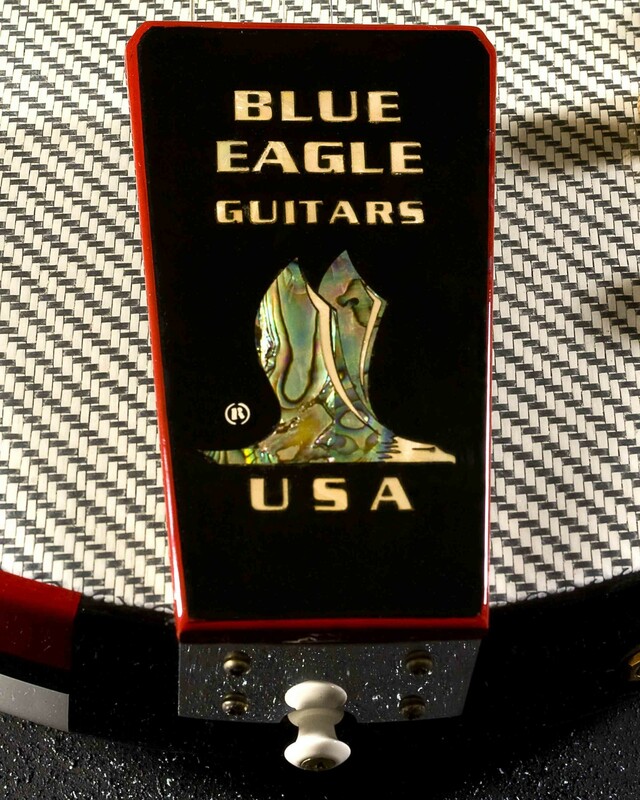 Blue Eagle Guitars USA began in 2002 when we were asked to refinish existing guitars. This started when my guitar instructor, Ray Bernard, had seen some of my hot rods and dragster restorations. Ray is a very experienced, 60 year jazz player. He played lead jazz guitar and did the arrangements for Vic Damone's band years ago. Ray also had his own TV show playing country and western guitar in the state of Maine. When Ray perused the car magazines, he was very impressed with the finishes on the collector cars and asked me what I could do with an old guitar of his to commemorate blues.music. This started our guitar refinishing business.The refinish of Ray's guitar was a big hit with the company that originally built the instrument. 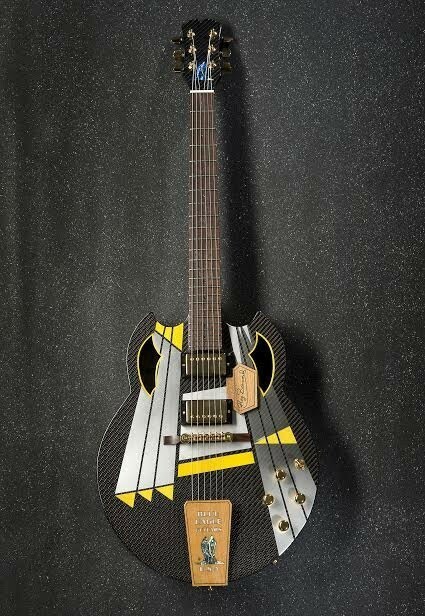 The company wanted to showcase the guitar at the NAMM show. That was soon dismissed by the director of marketing in Pennsylvania because that company could not reproduce that instrument's detail in quantities. These guitars are all constructed in the USA in Tucson, Az with the US Patent and Trademark office (USPTO) registered with the serial number 76361553.